I’ve struggled to find an answer that satisfies, lingering instead on areas where I envision it’s application. The readings for this week’s class have moved me closer to developing my own, more complete, answer to this question, but I’ll reserve the crafting of that response until the end of the course. 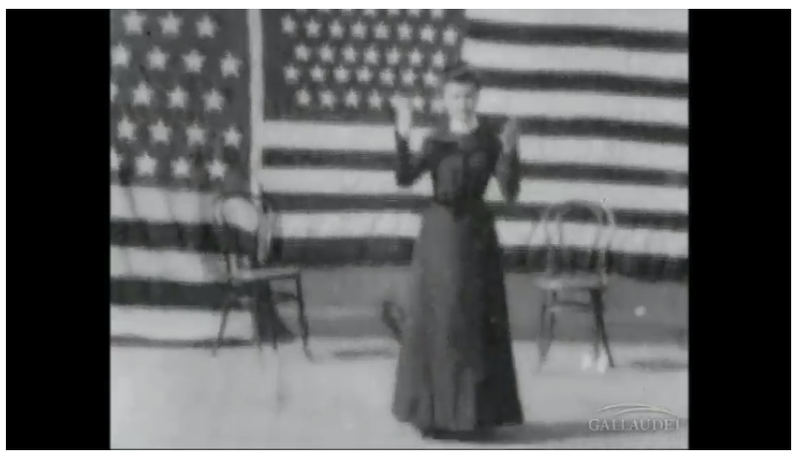 Given technical limitations, the earliest preserved moving evidence of ASL is a 1902 film [available online through the Gallaudet University archive and the Library of Congress here] and a film project initiated by George Vediz of the National Association of the Deaf, from 1910 to 1920, recorded “sign masters” giving formal addresses, describing literature, performing and storytelling [Veditz is seen here and other videos are available in the Gallaudet Video Catalog]. The importance of film technology is immeasurable in that it has preserved what had been entirely ephemeral. And as Cohen and Rosenweig noted in Digital History: A Guide, as we’ve moved into a digital age, what was relative scarcity (prior to the interconnectivity of webpages and video sharing) is suddenly excess as the web has exploded with video narratives by deaf people. Websites have sprung up for the purpose of “vlogging” [examples here and here]. A cursory youtube search, for instance, turns up countless videos of deaf people (or, increasingly) hearing students of American Sign Language, eager to share. The question will become, as Cohen and Rosenweig suggested for future historians, how to address this abundance of information. I can think of no current efforts in the field of Deaf History to begin this process or to address the preservation of vlogs. Posted on September 9, 2013 December 13, 2014 Categories Clio1, Digital PortfolioTags Deaf History, NAD Films, Veditz, Vlogs2 Comments on What is Digital History?